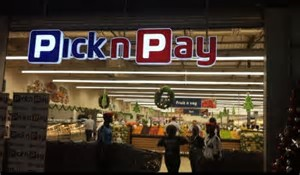 Pick n Pay chain of stores workers have staged a strike demanding among other things decent wages and working conditions but labour minister Joyce Nonde Simukoko has lambasted the workers and urged them to return to work or risk being fired. This morning the workers loudly suspended their work thereby forcing the chain store not to open most of its outlets. The workers said that their rights to decent wages were being trampled on and management was not concerned with hearing them. They complained that they are forced to work long hours and at the end of the month go back with as little as K400 as take home pay. The workers who stood outside the outlet at East park mall vowed never to return to work until their grievances are met while management insists that the strike action is illegal. The chain store has a record of multiple labour violations even in South Africa where strike actions have been the order of the day. But labour minister Joyce Nonde Simukoko’s order to workers to go back to work or risk being fired has disappointed them and called for her removal. They complained that instead of the minister protecting the workers from slavery, she was in the fore front agreeing with their persecutors. 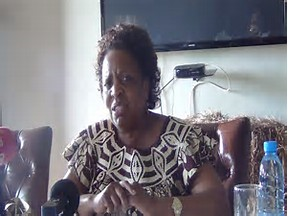 It is not the first time that Joyce Nonde is turning against workers after being corrupted by employers as she is on record of having endorsed the racial abuse of Zambian workers at the posh Horse shoe restaurant earlier this year. Before she got herself a husband and a lucrative ministerial job, Joyce Nonde was a fierce trade unionist who fought for the workers’ rights.